Using PEX to get potable water and hot water to your faucets and other fixtures. This is the thick walled plastic pipe (designed for direct burial in soil) that comes from the wellhouse to the house. It needs to be a nice big diameter to achieve good water flow. I use 2" diameter pipe. Having a main water shutoff as it enters the house is required by code. It is a 2" diameter underground pipe to the house which then connects to a 2" PVC pipe as it goes inside the house. WA State code says: "604.14 Plastic Pipe Termination. 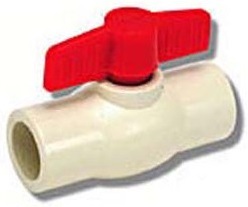 Plastic water service piping <ie PVC which is approved for the water line to the house> may terminate within a building, provided the connection to the potable water distribution system shall be made as near as is practical to the point of entry and shall be accessible. Barbed insert fittings with hose clamps are prohibited as a transition fitting within the building. ". 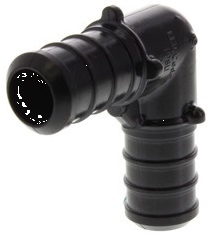 Use a 2" PVC shutoff tap. It is worth noting the difference between PVC and CPVC. PVC is the regular white pipe and should be used with PVC fittings. CPVC can handle hot water better than PVC, but PVC is fine up to 140 degrees F. The water supply to the house is cold water and as such it is best to use PVC pipe and fittings. It is ok to use regular white PVC pipe and fittings for cold potable drinking water. 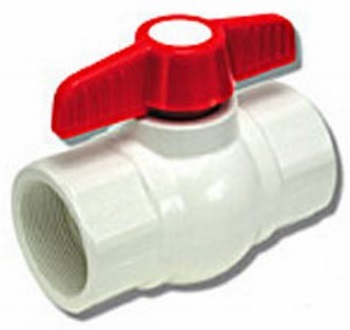 If you are handling hot water then you need to use CPVC pipe and fittings. For some unknown reason PVC is not on the list of approved piping for potable water within a building (but CPVC is approved). 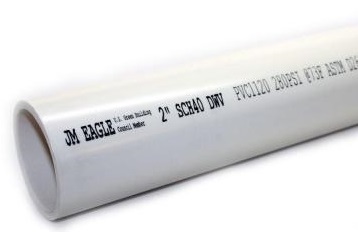 For potable water you need to transition to PEX as soon as practical within the building. NSF is a Public Health and Safety Organization. Amongst other things, they certify that products are safe for potable water. 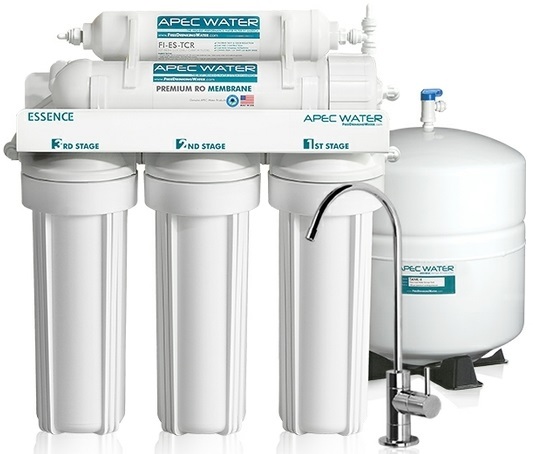 It is always good to choose products that are NSF certified when plumbing potable water. There is useful info at http://www.milwaukeevalve.com/data/pdf/NSFandMV.pdf . I don't use a water softener as I don't have hard water. If I did have one it would go after the whole house water shutoff. Softened water is nice to bathe in and good for keeping the shower and tub clean. Even if not installing a water softener it is good to provide space for it and a length of 2" PVC pipe that can be cut to add it later. This is a dead-headed feed that goes past all the toilets in the house in a daisy chain with taps off to the different toilets. The pipe is 2" PVC past the basement toilets and then changes to 3/4" PEX for the upper level toilets. A deliberate pipe disconnect/reconnect changeover is provided so the toilets can be switched between potable water or pressurized rain water. A 2" PVC check valve can be provided so no water from dirty pipes ever flows back into the potable water system if rain water has ever been used. It is good to avoid water going stale in the cold water pipes. This is a particular problem in a large house with any faucets that are rarely used. Rather than using a central manifold with pipes star-ed out to each faucet, it is better to use a loop that goes around the house past each faucet. The source water is applied to both ends of the PEX loop and it practice the water will run in whatever direction provides the least resistance. It is good to arrange for a high usage faucet to be at the farthest point in the loop. Fixtures such as baths, showers, washing machines, etc are best fed with unfiltered water. This is partly because there is no point in wearing out a filter with all this water and partly because you want the maximum possible flow. This is done with 2" white PVC pipe. It is the same 2" pipe that feeds the unfiltered cold water manifolds on the upper floors. I use 3/4" PEX to the water heater. There is some question about using PEX to connect to water heaters, but I think it's fine. A water filter is worthwhile, but I'm not convinced it's worth spending the money on a mega expensive one. I used a $50 water filter. For really clean water it is good to put a Reverse Osmosis Water Filter under the kitchen sink, particularly as these are now under $200. This manifold provides the feeds of filtered water to faucets on all the floors that want drinking water. There is no point in using 2" PVC pipe as the input to this manifold because the flow rate is already limited by the water filter. Using 1" pipe is fine. For potable (ie drinking) water you need PEX tubing that DOES NOT have an oxygen barrier. 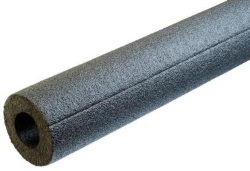 The type with an oxygen barrier is just for use in radiant heating systems where the heating system uses cast iron parts and you want to avoid rust. The best brand is AquaPEX. The best type is PEX-a. AquaPEX is the only PEX-a material available for drinking water. Details are here . There are various connector types that can be used with PEX tubing, but here is my recommendation. 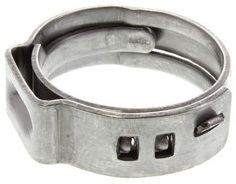 Use the crimp connectors/fittings, but use them with stainless steel clamp rings (rather than copper crimp rings). Crimp style fittings are the most common and affordable type of PEX fittings and can be found in most home centers and online stores. It will cost you about $70 for a clamp tool (but this is less than a crimp tool). I prefer to use plastic connectors as there is no possibility of them containing lead. If you do buy any brass fittings then make sure they are zero-lead. Lots of extra good info on PEX is available at http://www.pexsupply.com/resources . All PEX tubing not totally concealed in the wall cavity MUST BE sleeved with a UV light barrier sleeve. PEX may not be connected directly to a water heater. PEX tubing may not be run within 6" horizontal or 12" vertical of a water heater or furnace flue pipe, a heating unit or a fluorescent or incandescent lighting fixture. Horizontal runs of PEX tubing must be supported at not more than 32" increments..
On a horizontal run, PEX support hangers must not restrict movement of the tubing. On a vertical run, PEX must be supported at each floor plus halfway between floors. When running PEX, you must allow 1" per 100 linear feet for each 10deg.F change in working temperature differential. The minimum turning radius of PEX may not be less than 5x the tubing diameter (some local codes restrict it to 8 or 10 times the diameter). When bending PEX tubing it may not be bent contrary to the natural curl of the tubing from the original roll. PEX tubing must be stored and transported in a closed shipping container and should only be opened immediately before use. 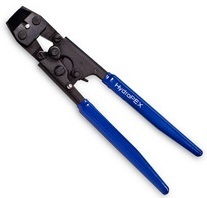 PEX tubing must be cut with a plastic tubing cutter. If a hacksaw is used, the tubing must be supported in a miter box while cutting. All fittings used on PEX tubing must be specifically listed in the manufacturers data sheet as being acceptable for that particular brand of PEX tubing, and the manufacturers data sheet must be on the jobsite during installation. When installing PEX tubing it may not be dragged over bare earth or a concrete surface. Avoid anything that has cast iron because it will rust if you use the water for radiant heating and you use potable water PEX tubing. Avoid a tankless water heater (unless you live alone in a one room apartment that has poor insulation and you are out all day). A water heater with a well insulated tank will give you better efficiency and the small amount of heat that does escape will be within the thermal envelope of the house so will help warm the house. The latest building code requires the use of a heat pump water heater because of its greater efficiency. In the case of a resistance water heater, site the boiler where the small amount of escaping heat can be the most beneficial. A good place is in an airing cupboard for clothes on the bedroom floor, although in practice it is more practical to put it in the basement. Water heaters with tanks come in a full range of sizes from a few gallons (the one pictured is 6 gallons and is not a heat pump type) to many 10s of gallons. Safe pans are required by code under water tanks six gallons in capacity or more when elevated above any occupied space, minimum drain size is 1-1/4”. (A safe pan or safe waste system is not required by code under washing machines.) In my case the water heater is in the basement, ie not above an occupied living space, so a water catching pan is not required by code. A safe pan under a piece of equipment is for emergency purposes only. When not an emergency it will always be dry (and so a trap would be dry). The drain from the pan must be tied indirectly (via an air gap) to an active fixture like a utility sink. Under a water heater you do ideally want to have a mechanism for catching water if it leaks. You don't want a floor drain in the basement slab so you need another mechanism. I use a raised floor with waterproof membrane to form essentially a shower tray. There is a 1.5" drain in that waterproof raised floor that goes via a 1.5" ABS pipe to above the mud-room utility sink. I chose to have just one hot water manifold for the whole house and to site it in the basement ceiling above the hot water heater. The is no fixture than needs more flow than can be handled by a 1/2" PEX feed. I made my own manifold using a 1" CPVC trunk with 3/4" CPVC valves. Note the need for CPVC rather than PVC. Hot water pipes inside the house should ideally be insulated so hot stays hot and you don't waste energy (in summer). Many people will consider this to be unnecessary, but I am very fussy about my drinking water. The main water feed to the house from the WellHouse is perfectly drinkable, but there are big holding tanks and big umps involved. I like the water best when it is fresh out of the ground, ie has had no opportunity to get stale in a big reservoir tank. I have chosen to implement a separate small volume water system that feeds the drinking water via a half inch PEX pipe to the house. It feeds a dedicated faucet in the kitchen and three on the bedroom floor (in bathrooms) using a simple daisy chain. Details of what's needed in the WellHouse to feed the PEX pipe are here .